When choosing your entertainment for your big day, celebration, reception, birthday party, anniversary, what are the deciding factors which help you influence your decision? WEDDING DJ FIFE along with our sister company STRAIGHTSHOOTER DISCOS have been in business since 1977 during which time we have provided discos and entertainment for thousands of wedding receptions. Yet we still treat each one individually. EXPERIENCE AND KNOWLEDGE OF DJS? All of our team of djs have at least 15 years experience individually and all have an extensive knowledge of different types of music along with a range of hosting skills. Prices for all types of functions are dependant upon a variety of factors, such as date of function, type of function, what times do you want the disco to start and finish, distance traveled to venue, other services being used such as, Mood Lighting, Candy Carts, Dancing on Clouds, Led LOVE letters, . Will your chosen entertainment be willing to meet with you pre event to discuss your needs and requirements with you? We offer pre event meetings with bride and grooms to discuss how we can help to make your big day more memorable. We have gained an exceptional reputation for our professionalism, personal service, quality and reliability both with function managers/coordinators and with individual clients, who return to us time and time again on a regular basis because of the above facts. QUALITY AND LOOK OF EQUIPMENT? In line with the ever changing tastes of todays clientele, we are continually introducing new ideas, new services and new equipment. We use high quality sound and lighting equipment and all our equipment is maintained to a high standard. we are fully PAT tested and we carry full Public liability insurance. 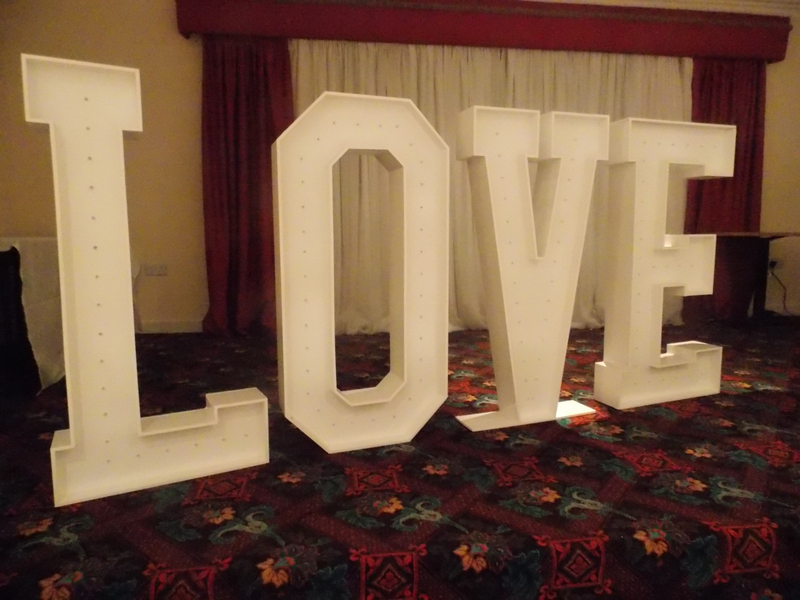 With a large array of equipment we can offer different looks to suit different occasions.